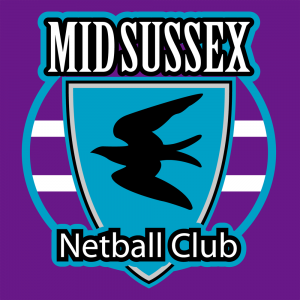 Mid Sussex Netball Club (MSNC) is your local, friendly netball club. The club is affiliated to Sussex Netball and England Netball and we continue to be a Silver CAPS accredited club which reflects our organization and approach to player development. Teams play in local leagues and enter annual tournaments for all age groups and we run performance squads for regional netball from the age of U12. Most groups train at The Triangle Leisure Centre, Burgess Hill, on Saturday mornings from September – March, moving to an evening session in the week during the summer term. Some groups train at venues in Burgess Hill on mid week evenings – usually Monday, Tuesday or Thursday. We have a team of enthusiastic and experienced coaches working at all levels and they are supported by some of our older players as assistant coaches and youth helpers. The club’s traditional motto has been ‘Netball for All’. In the younger age groups we support and encourage players across a wide range of abilities, leading up to more competitive/selective netball in preparation for Regional/higher level competition at U13 and above. We also support the development of club netball for girls not selected to play in regional squads. The Club is dependent on volunteer coaches, parent supporters and committee members and we rely on support from parents to ensure players can access as many opportunities to play netball as possible. We have a dedicated volunteer coordinator who is always keen to hear from parents willing to help. We are also keen to hear from experienced or developing coaches who are interested in joining our team. This site contains all club information including the latest news, announcements, training information. Finally, find us on Facebook and Twitter. Please check this site regularly for all news and information regarding our club.